Fritillaria Meleagris | 9 World's Most Unusual Flowers! Fritillaria meleagris is a species of flowering plant in the family Liliaceae. 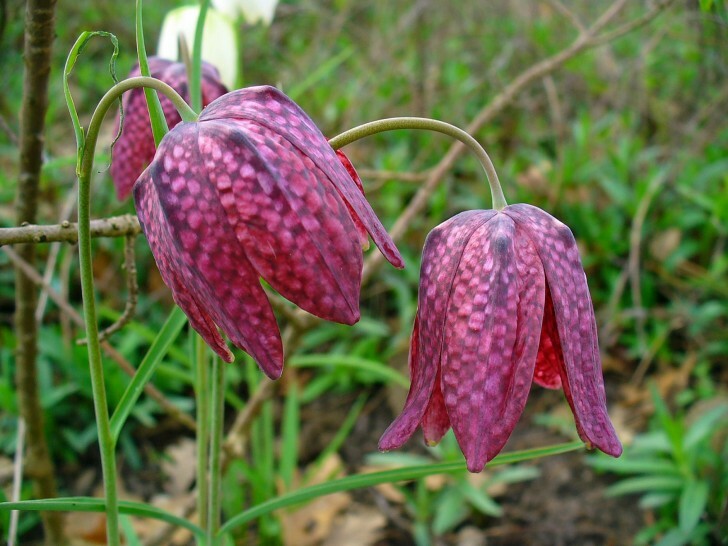 Its common names include snake's head fritillary, snake's head (the original English name), chess flower, frog-cup, guinea-hen flower, leper lily (because its shape resembled the bell once carried by lepers), Lazarus bell, checkered lily or, in northern Europe, simply fritillary. By Wikipedia.